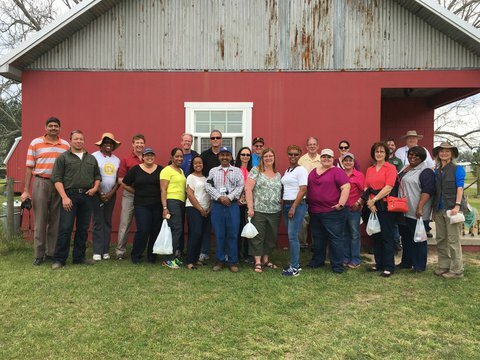 The project trained 22 staff with Georgia Vocational Rehabilitation through a two-day workshop in April. In addition to classroom learning, the workshop featured an AT expo, in which numerous vendors participated. Participants were able to see everything from tractor lifts to a JCB skid steer. Tuskegee University attended and brought a tractor with a lift to demonstrate as well. 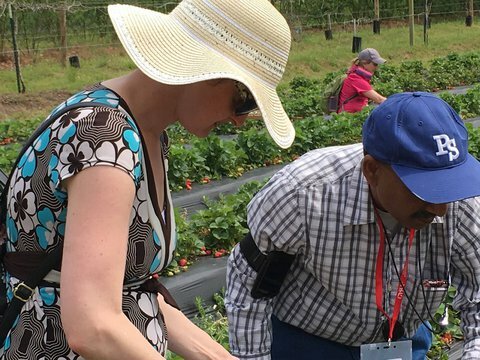 The training also included a full day of farm tours. The VR staff attending the workshop are part of an internal VR department called Assistive Work Technology (AWT). AWT is unique to Georgia VR in that AT assessments and recommendations are made through this central group. They are key to the success of AgrAbility farmers receiving AT. Workshop participants gave the training very high ratings. Comments included: "I can't wait to have my first ag client with the support of this awesome team. Such an amazing and enlightening experience." "Seeing, touching, hearing, smelling, tasting - made it all FANTASTIC and easy to learn." "Staff were superior. Well organized. "Videosandpictures can be found on the project website at https://www.facebook.com/farmagain2. Similar trainings will be offered to vocational rehabilitation counselors. Staff have been busy developing a business plan and starting implementation of a small scale farm (Green Planet Vets) for a local veteran. His operation will be organic and will feature mushrooms and specialty crops. 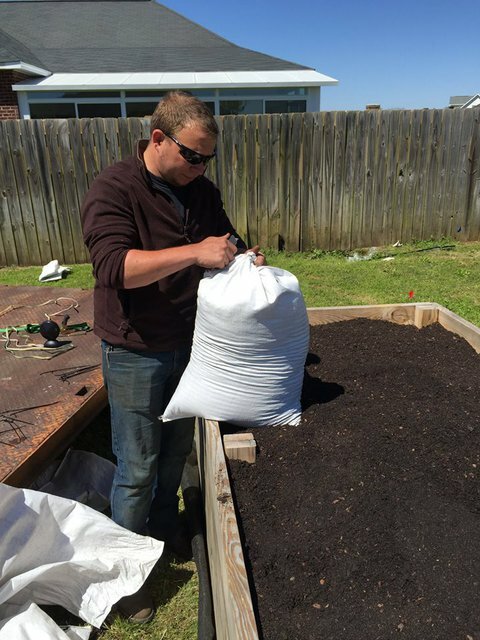 Mason Dean, AgrAbility staff member, worked with a company to get nearly $2000 of soil approved for organic use donated. Staff have been busy building and setting up the raised beds. 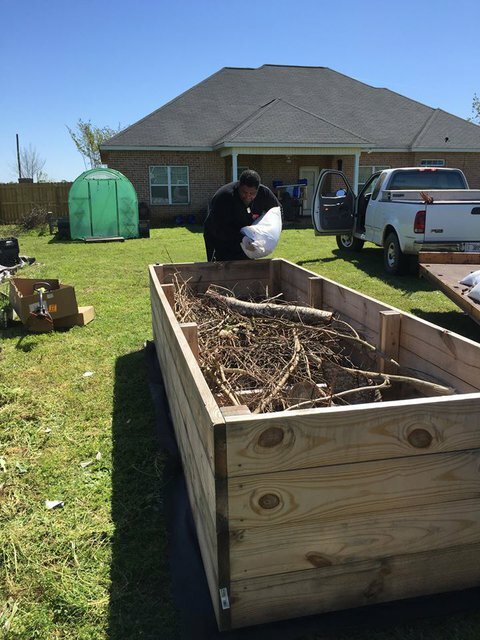 Staff are working with new clients to set up a home aquaponics system they can learn on, with the plans to expand into a commercial operation within two years. 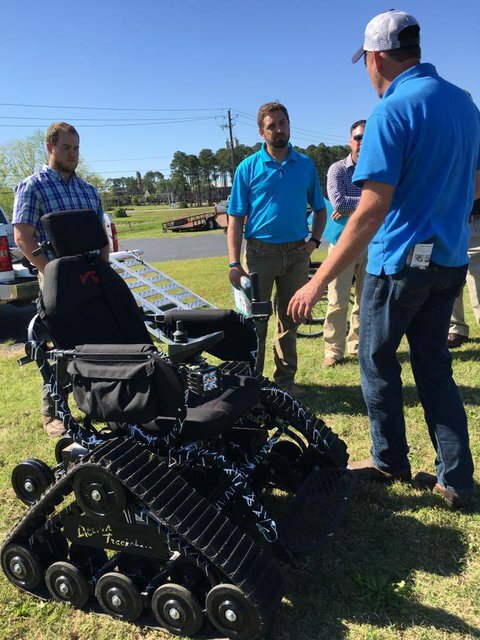 Exploring new and alternative farming methods is one way Georgia AgrAbility is working to serve their clients more effectively. John Kreimeyer, AgrAbility staff, received training with Colorado Aquaponics earlier this year. Paige Tidwell, AgrAbility staff member, is working with rehabilitation counseling graduate students from Fort Valley State University (1890) to provide them with direct experiences with our farmers, as well as mentor them regarding best practices in assisting individuals with disabilities achieve or maintain their vocational goal.